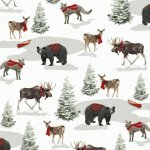 The Rustic Charm Quilt Kit is perfect for using all winter long, and is made with cozy flannels and features winter animal scenes and plaids. 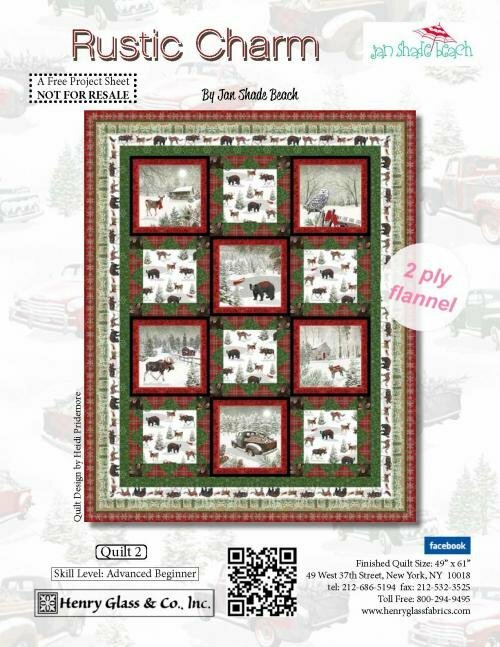 The Rustic Charm Quilt Kit includes the pattern by Jan Shade Beach for Henry Glass Fabrics and the top and binding fabric, by Heidi Pridemore. The finished quilt measures 49" x 61".